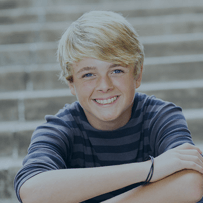 As your choice for an orthodontist in Frisco, Little Elm, and Prosper, it’s our goal at Corbridge Orthodontics to make sure that your orthodontic treatment is an absolute success. We’ll be with you every step of the way – not just when you’re in our office receiving one of our exceptional orthodontic treatments, but at all other times as well. We truly want to make your treatment proceed as flawlessly as possible, which is why we’re providing you with a handful of helpful tips and tricks. We hope you keep these in mind when you’re undergoing our Frisco orthodontics! Perhaps the most important advice that we can offer is to take care of your orthodontics. Our Frisco orthodontics will only be effective if they’re being properly worn and taken care of. If your orthodontics become damaged, your treatment may take longer to complete – something that you certainly don’t want to see happen. Get in touch with your orthodontist in Frisco, Little Elm, and Prosper as soon as possible to take care of any damaged orthodontics. If you feel any discomfort or soreness when you start wearing your orthodontics, don’t worry – this is completely normal. Right after your braces are either put on or adjusted, you may feel a bit of soreness for a day or two. Thankfully, there are a few different ways for you to alleviate this discomfort. We highly recommend swishing a salt water rinse in your mouth for a few minutes or taking a pain reliever. When you’re wearing our Frisco orthodontics, it’s even more important to keep up with your daily oral hygiene regimen. While we recommend brushing after every meal, you may find that you won’t always be at home to proceed with your regular brushing. Not to worry though – by bringing along a dental kit with you, you’ll be capable of cleaning your teeth on the go. Make sure to bring all the essentials along – a toothbrush, some toothpaste, and dental floss. The good news is that orthodontics won’t prevent you from still playing sports. However, we recommend wearing an orthodontic mouthguard if you’re going to play any contact sports so that you can help protect both your teeth and your orthodontics. We encourage you to talk to your orthodontist about custom mouthguards as they can provide more protection and comfort than those that are bought off of the shelf. Contact Your Orthodontist in Frisco, Little Elm, and Prosper Today! Have any further questions for us? Feel free to contact us and let us know – we’ll be glad to help you however we can! If you’re interested in scheduling an appointment with us for braces or Invisalign in Frisco and Prosper, we invite you to give us a call at (214) 705-6188. We’re looking forward to hearing from you and helping make sure that your orthodontic treatment proceeds as smoothly as possible! Straight teeth provide a number of benefits to patients, ranging from physical benefits to aesthetics. At Corbridge Orthodontics, we want to help you achieve a straighter, more functioning smile for everyday life. With high-quality technology and attentive professionals, our Frisco and Prosper orthodontics team can explain all of the amazing benefits of straight teeth and answer any questions you may have. Continue reading to learn about the 10 advantages of straight teeth. Crooked teeth and an incorrect bite or jaw alignment can cause many speech impediments. With straight teeth, you can speak more clearly and enunciate your words. A certain degree of confidence can also come with the ability to speak clearly. Unfortunately, crooked teeth can make brushing and flossing quite difficult. Straight teeth do not allow as many food particles to get trapped in between teeth. By straightening your teeth, you can reduce the uneven wear that can be caused by crooked teeth and a poorly aligned bite. This will reduce the pressure on your jaw and therefore cause fewer headaches as well. In the long run, you will have less dental problems with straight teeth. By paying to straighten your teeth with braces, you will ultimately decrease your spending on future dental and orthodontic issues. For sports and exercise, it can be much more difficult to fit crooked teeth for a mouthguard. By straightening your teeth, you will be at a lower risk for mouth and head-related injuries and concussions. Decaying teeth can be hidden by crooked teeth, making it more difficult to see the issue early on. These issues can then increase your risk for heart disease and blood sugar problems. Straight teeth allow for a better oral hygiene and general health for the entire body. Crooked teeth can make it difficult to chew foods and break them down properly. This can lead to digestive problems in some cases. Straight teeth will allow you to chew and bite correctly while consuming all the foods you please! Crooked teeth can crowd your mouth, pushing into your gums and mouth tissues. This can be painful, resulting in cuts, sores, and sometimes infections. By straightening your teeth, they will align correctly in your mouth and you will avoid this discomfort. Straighter teeth allow for healthier gums and therefore less periodontal problems. Unfortunately, crooked teeth can lead to poor dental hygiene which may turn into gum disease. Avoid these issues with straighter teeth! Straight teeth allow for a number of health and dental benefits, but possibly the most important is an increased level of confidence. Corbridge Orthodontics wants to give you the smile you've always wanted and for you to be proud of that smile. Straight teeth can improve your comfort in social situations and your self-esteem. Your local Frisco orthodontics office wants to provide you with the best information about straightening your teeth. Corbridge Orthodontics has many different options based on your needs and smile goals. We provide traditional metal braces, clear braces, or Invisalign. For the least noticed choice, let's discuss the advantages of Invisalign in Frisco and Prosper. Our team is more than happy to discuss all of these choices, answer any questions or concerns, and find the most appropriate option for you. Call or visit our office today for your first consultation or your next appointment. Straight teeth will lead to an easier and brighter dental future, let's get started together! We’d like to alert you to a startling new trend that’s been popping up recently on social media – DIY (do it yourself) braces. Now, you probably don’t need your Frisco, Little Elm, and Prosper orthodontist and orthodontic team here at Corbridge Orthodontics to tell you what an awful idea it is to attempt DIY braces, but we wouldn’t feel like we’d be doing our job if we didn’t bring it up. DIY braces can be incredibly dangerous for a non-professional, which is why we strongly discourage it. Here are just a few of the many reasons why you shouldn’t try this at home and why you should visit a professional orthodontist in Frisco, Texas instead. Orthodontic treatment is an incredibly complex procedure. A person with no education in the field would have no way of being able to master straightening a person’s teeth…much less their own! The regular method of a professional orthodontic treatment requires tools and techniques that use just the right amount of measured force and motions to both move the teeth – and more importantly – keep them safe. Orthodontists have the experience and qualifications necessary to safely move a patient’s teeth into their desired positions. DIY braces will never be able to match that kind of precision and safety. Let’s say that somehow the DIY braces actually moved the teeth into a much more attractive alignment. That may sound great, but there’s no way of knowing what’s going on inside the teeth and gums or with the jaw structure itself. DIY braces can often move teeth too fast or move them into the wrong position, which can end up damaging the bones or gums. The health of a patient’s teeth is about more than just a beautiful smile; you’ll need a professional orthodontist to determine how healthy these teeth still are. The main draw of DIY braces (and the reason why people attempt them in the first place) is that it’ll save them money. Orthodontics can be expensive and some people will try to get around that cost in any way that they can. However, by attempting DIY braces, a patient is likely to incur damage that will cost more money to fix than it would’ve cost to just undergo a professional orthodontic treatment from your Frisco, Little Elm, and Prosper orthodontist in the first place. Instead of spending thousands on orthodontics, you might find yourself spending tens of thousands just trying to reverse the damage that DIY braces caused. Because DIY braces have become so popular, even the American Association of Orthodontists (AAO) have had to step in. They’ve issued an official warning against the usage of these braces – a sure sign that DIY braces are a terrible idea. We recommend that you listen to the foremost authorities on this subject. Come Visit Your Frisco, Little Elm, and Prosper Orthodontist! If you feel like your teeth aren’t as straight or attractive as they could be, please don’t attempt to straighten them on your own – come visit a professional orthodontist in Frisco, Texas instead. If you’d like to schedule an appointment for our safe Frisco, Little Elm, and Prosper Invisalign or braces treatments, we encourage you to give us a call at (214) 705-6188 or fill out our appointment request form. We hope to see you soon and we promise you a safe and effective treatment! Undergoing orthodontic treatment can be a long and arduous process. We get that. Having said that, as your provider of Frisco, Little Elm, and Prosper Invisalign and braces, we at Corbridge Orthodontics want you to know that we’ll always be here for you with ourcompassionate orthodontic care. It’s our goal to make sure that your treatment proceeds as smoothly as possible. That’s why we’d like to take this time to give you five important tips for making your Invisalign treatment a success. This is the most important thing to remember during your orthodontic treatment. You should always clean your teeth after a meal because if you don’t, the food that you eat can get trapped against your teeth and gums when you put your aligners back in. This can only accelerate dental problems, such as tooth decay. Because you’ll be taking your aligners out occasionally – as you only need to wear them for about 22 hours in a day – there will be periods where the aligners aren’t in your mouth. When this is the case, put them in an actual case! This will cut down on the chance that you accidentally harm, misplace, or even lose your aligners. We’ve had many patients who’ve even thrown their aligners away by mistake when they’ve left their aligners lying around. Make sure that you don’t do the same and always keep them in a case to protect them. Because your aligners will only need to be in for approximately 22 hours per day, you’ll be able to pick and choose when to take them out. Obviously, you’ll want to take them out for eating and cleaning your teeth. Another time you may want to take them out is when you exercise – especially if you’re working out strenuously. When your aligners are in while you’re working out, your mouth can become even drier and cause added discomfort for you. Invisalign will achieve its best results when a patient’s teeth fit perfectly in each aligner before starting the next set. If you have air gaps between your teeth and your aligners, that’s a sure sign that the aligners aren’t fitting their best. To solve this problem, we recommend using ‘chewies,’ which are basically small cylindrical cushions that you can chew on. When you bite down on these for several minutes at least a few times a day, it will help the aligners fit properly and assist your treatment in finishing on time. When your aligner change falls on the day of or before an important event, whether it’s a presentation, a date, or anything else where you need to speak clearly, we suggest that you delay your aligner change. It will typically take a day or so to get acclimated to new aligners and until then, you may find yourself with a small lisp and you might also have trouble speaking normally. Wait until after your important event is over before changing aligners so that you don’t have any speech problems during your big day. Contact Your Prosper, Little Elm, and Frisco Adult & Children’s Orthodontist! If you have any questions, comments, or concerns about our Frisco, Prosper, and Little Elm Invisalign treatment, please don’t hesitate to contact us. If you’d like to schedule an appointment with your adult and children’s orthodontist, you can give us a call at (214) 705-6188. We can’t wait to hear from you!